What’re You Playing This Weekend? I've spoken a lot about this over the past few days so there's not a lot more to say. Right now I'm progressing through the class order hall quests and wiping my way through some LFR stuff. I actually really, really miss dungeon runs. I miss that feeling of dungeons giving good gear and having everyone desire to run them as new and cool places to be. 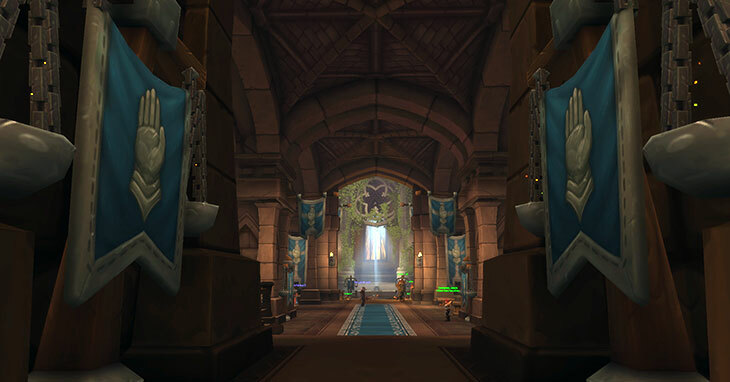 Probably what I'm eager to see most in BFA. I think we've been playing through all of the KH games for over a year now. We're playing them about as casual as one can go. We put in a few hours a week tops. Lately we've decided to put in more time to get through the series in time for KH3. I'm playing as a Paladin, and I'm doing this completely blind. I'm not using a guide or following any helpers. I'm just there to see if the game is fun enough to pick up the second game. So far I like the storytelling, and I think this will be the game I dabble my time in as I feel like playing. Graev got a new computer and is playing PC games again, so he's looking into a bunch of PC games he thinks we should try. He mentioned Albion Online, so I logged in and got him a 7 day free trial key. We're going to dabble and see if it's something players can get into after a ton of time has passed on the server. As most sandbox pvp games, the longer they're out there the harder it is for players to participate. Albion Online has always been one of those games that really favors the PvPer, so I don't know how long either of us can last. I would prefer being able to spend my ENTIRE time grinding on rocks and trees. I don't like that the higher-end materials are gated behind zones full of gankers. Still, it's hard to resist the urge the break rocks and chop trees in a sandbox. There's a masochistic quality to the madness. Mostly Pillars of Eternity 2. Hopefully you will like 1 – strong storytelling and lore and I find the combat pretty fun.